Is it your dream to visit the lands of the bible? If so, you can make your dream a reality by joining the 2019 Israel Tour with Major Daughter in November. 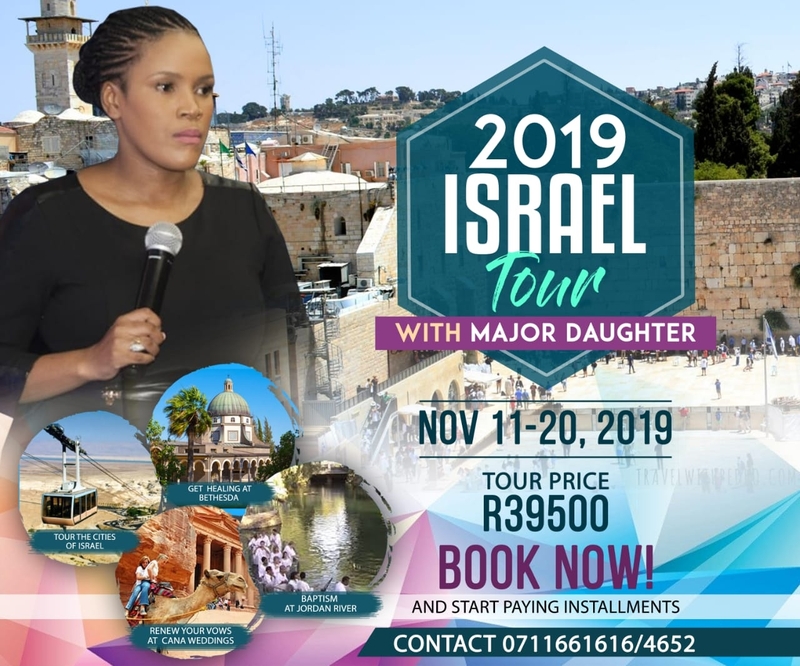 Come with Major Daughter to the Holy Land and walk in the footsteps of Jesus Christ experience Nazareth the birthplace of His ministry. Visit all the significant biblical sites on the shores of Galilee, The Mount of Beatitudes, Jerusalem, Bethlehem, Jericho, Joppa, Mount Carmel, the Dead sea, the tomb of Jesus. Be baptized in the river Jordan. Study the Bible where the events actually happened. Are you looking for a perfect place to marry the one you love or renew your marriage vows? The best place is Cana in Galilee during this tour, where Jesus performed the first miracle by turning water into wine at a wedding ceremony. 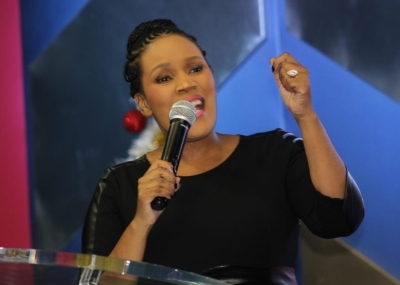 Take a trip with the woman of God and experience a lifetime worth of testimonies. The tour will transform your faith in God and His word. Upon your return your life will never be the same again. Tour price: R39 500 from South Africa, you can pay in instalments. What are you waiting for book now? Contact Elder Lebo Ngcongolo on 071 166 1616/4652 for more information.